Blast Zone Magic Castle Giveaway! 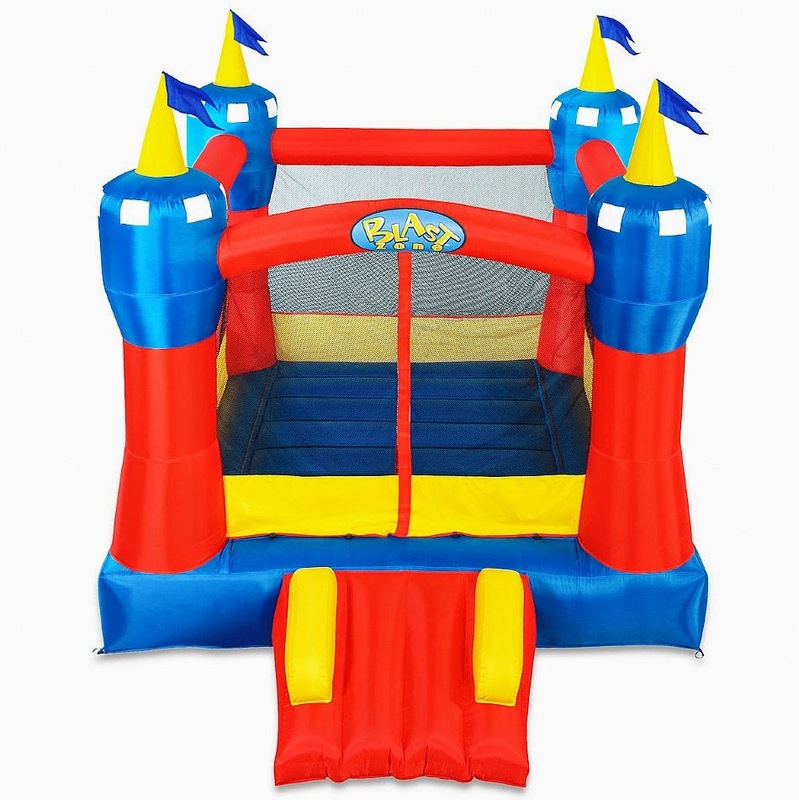 One of the most desired giveaway items is a bounce house from Blast Zone! Gte ready for some serious fun and nter to win! Whether you are dreading the end of summer or looking forward to school starting up, there is no better way to say goodbye to summer and hello to a new school year than a party. Parties make everything better, and Blast Zone makes any gathering into a party. With the Magic Castle kids will be jumping for joy, literally. If you are looking for a way to make all your occasions into celebrations, the Magic Castle is just what you need. Lucky for you, you have the chance to WIN one($269.99 RV). Simply enter the Rafflecopter below for your chance at this incredible prize. For more information about the Magic Castle, you can see the full review from Andrea's World Reviews here. This giveaway will run from August 7th until August 25th. Good luck! Andrea from Andrea's World Reviews received the product from this sponsor to facilitate her review, no other compensation was received. All participating blogs are not responsible for prize fulfillment. This giveaway is in no way associated with social media sites including Facebook, Twitter and Pinterest. I like that the kids can play in it in the backyard and it doesn't have to stay blown up when they aren't using it. I like that the kids could spend hours in this and use up all of their excess energy! I like that is is totally inclosed. I'd feel a lot more comfortable with my children bouncing in this than on a trampoline. I love that it inflates in less than 2 minutes. I like that it inflates in less than 2 minutes, that's awesome for impatient twins! I love that it inflates so quickly! Awesome giveaway! I really like that Blast Zone has a huge variety to choose from! I like that its easy to fill and fold up when your done! I like the easy fold and also that it seems so safe to use. I like the easy set up & easy fold up. I like how much fun my kids would have with this. It would reduce my trips to the park for sure. I like that it looks like tons of fun and will keep kids entertained for hours,. That it easy set up an take down. I like that it keeps my kids contained and active! The kids would love this AND it costs less than it is to rent one! I like that it is all enclosed. I like that it will provide hours of fun and exercise for children. My daughter loves bounce houses. WOW, this looks awesome, my kiddos would love it....who wouldn't lol!!! Thanks for such a great giveaway and the opportunity!! I like that it inflates in less than 2 minutes. I love that it inflates in less than two minutes.